I was not sure what to expect with this book, but it was a fun read and educational. I like how the author, Catherine Harrison linked ballroom dance to life in general; a confidence boost, stress reducer, sociable activity, weight-loss activity, mental health boost. Good information was shared on groups lessons vs. private lessons along with the potential benefits for using a coach. For someone wanting to know what to expect from ballroom dancing or someone who has an interest, this is a good descriptive book to assist in the decision making. Humor is used, personal stories of her own dance lesson and competition experiences. She shares and gives practical advice. Why didn’t anyone tell me? Ballroom dancing is fun, magical and, most of all, life-changing. When I first started learning ballroom though, I fumbled around awkwardly and sometimes painfully, figuring things out as I went along. Certain things weren’t explained or just never came up in conversation. 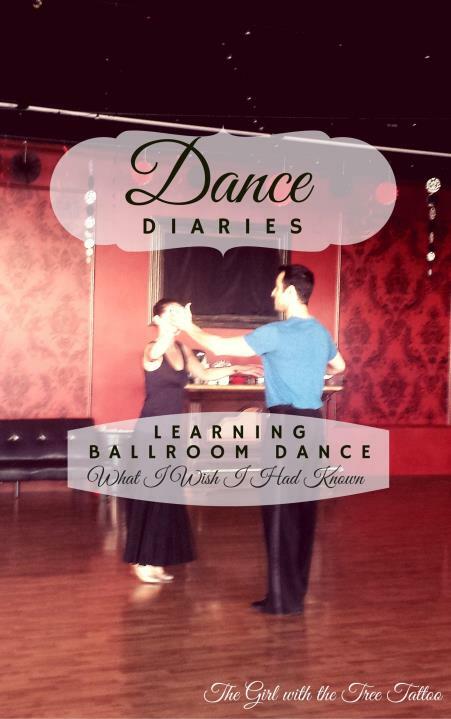 From what to expect in class to how to find the right teacher or dance partner to how much ballroom really costs, Dance Diaries: Learning Ballroom Dance covers the things that I wish I had known when I first started learning ballroom. This quick read is your cheat sheet to help you get the most out of your ballroom experience. 1) What made you write a book about ballroom dancing? I’ve always liked writing, but true inspiration was hard for me to come by. I would write, but it always felt “just ok.” I couldn’t find something that lit a fire inside me and made the words just pour out. Ballroom dancing turned out to be my source of inspiration. 2) How did you do research for your books? I lived them! The books were born out of my own personal experiences plus a few stories I heard from other ballroom dancers. Ballroom Budgeting in particular is straight out of my life, as it includes everything I do to manage my finances so I can keep dancing. 3) There are many books out there about ballroom dancing. What makes yours different? A book written by a professional ballroom dancer might cover similar topics to the Dance Diaries series, such as what to expect on your first private lesson or how student costs are broken down, but it will be from their perspective, as a professional and a teacher. I provide the perspective of a student who has been around long enough to understand how things work, but not so long that I’ve forgotten what it was like when I first started. As a freshman, you go through the school-provided orientation but then you go to the students who have been there at least a year to find out how things really work. I’m straight forward about uncomfortable topics like the physical contact and emotional attachments that come with learning ballroom dance and how much things really cost. 4) Do you ever get writer’s block? What helps you overcome it? Oh man, yes! Is there a writer who hasn’t? Usually, I have to do something else to give my brain a break. The most effective activity seems to be taking my dogs for a walk. The mild physical activity and fresh air help kick start the word flow. 5) Where do you write? I usually have my laptop set up on the kitchen island in my apartment. Luckily, there is a lot of counter space so I don’t annoy my roommate by taking up all of the space! Sometimes I need a “change of scenery” and I’ll move to my bedroom. For one particularly challenging article, I went from sitting at the kitchen counter to sitting on the couch to lying in bed with my laptop on my stomach! Wherever the words flow is where I go. 6) Do you snack while writing? Favorite snack? I try to avoid snacking too much while I’m writing, but when I do, I try to keep it healthy. Carrots dipped in hummus or fruit like blueberries or strawberries are yummy choices! My roommate loves to bake, so I often sample her creations on the weekends while I’m working away. Sunday afternoon writing sessions are almost always accompanied by some sort of bubbly! Thank you for being a part of my book tour and taking the time to review Dance Diaries 1! We were glad to review both the books of Katie’s. Such a useful guide for aspiring as well as professional dancers. You can check our revirw & interview at The Dance Bible blog!